Of all the little egg pendants Fabergé created, some were more important than others. Like the two shown below for example, made between the years 1908 and 1917! 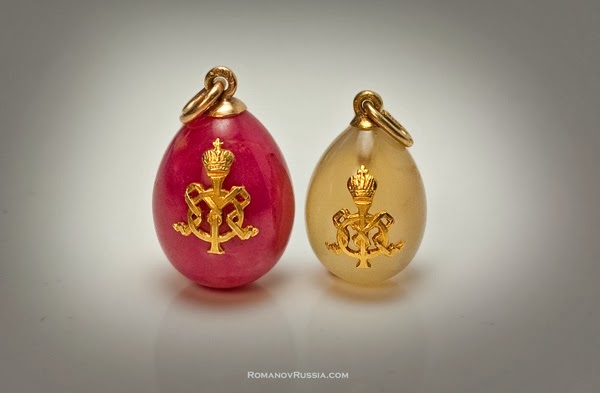 The difference between these and the "normal" egg pendants are that these are so called "Imperial Presentation Egg Pendants", decorated with the cipher of Empress Maria Feodorovna in gold. These eggs were given personally by the Empress to female members of the Royal family and ladies-in-waiting at Easter time. Very few of these eggs have survived, and the two in this post comes from the same family, and are said to have belonged to one of the Empress' ladies-in-waiting. 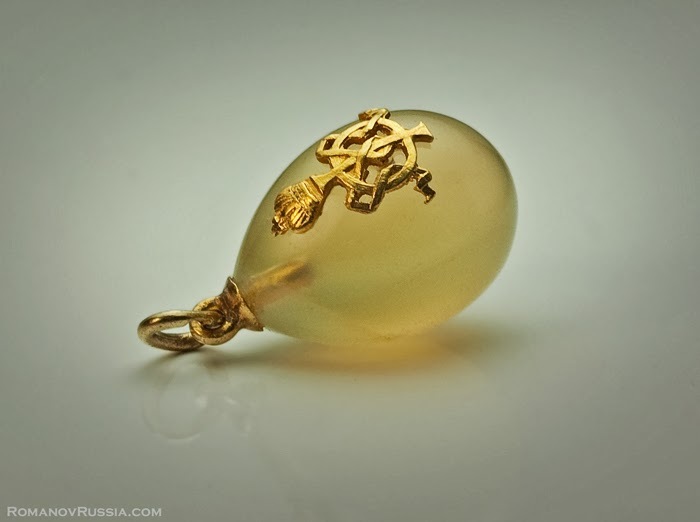 The smallest of the two eggs - 0.7'' (1.9 cm) high - is carved from a piece of golden chalcedony. The slightly bigger one - 0.9'' (2.2 cm) high - is made of rhodonite. 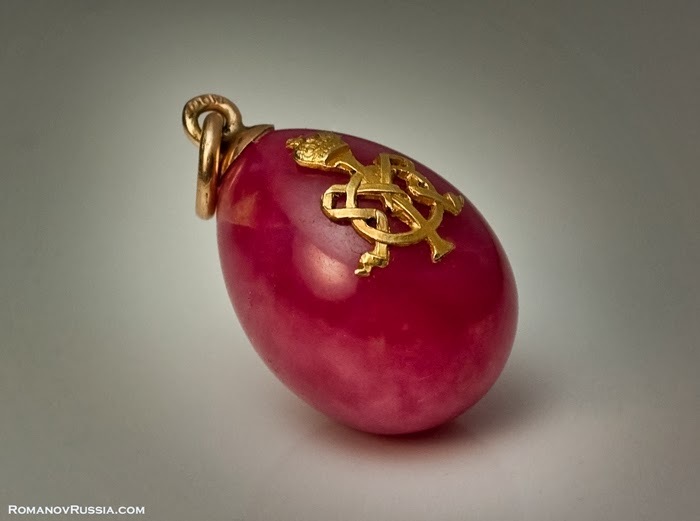 Siberian Rhodonite (Orletz) was one of Carl Fabergé's favorite stones.